Jim Casey Construction - Athens GA Construction and Remodeling Company Specializing in Kitchen Remodels, Bathroom Remodels, and Insurance Repairs. Jim Casey Construction – we are kitchen and bath remodelers, weather and accident restoration specialists, roofing contractors, and new construction contractors. We have years of experience, and we are always striving for perfection. CONTACT JIM TODAY AT 706-255-6033. 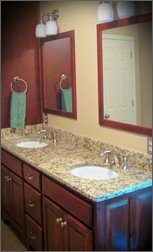 …remodeling including cabinets, tile, plumbing, and fixtures. …including weather damage, fire, flood, or accidents. …including replacements, leak repairs, or storm damage. …porches, decks, garages, and basement refinishing. …home construction, design & build, and custom homes.